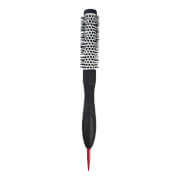 Manage and style hair effortlessly with Denman Exclusive D3 T003PRBK Limited Edition London Brush; the British haircare brand’s world-renowned D3 hairbrush adorned with an exclusive London print. 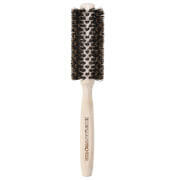 The benchmark of British hairbrush design, the D3 is built for controlled styling and defining wet curls. 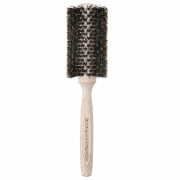 Featuring a tear-drop handle with a longer, more rounded shape for enhanced comfort, tension and control, the brush is fitted with seven rows of sculpted, round-ended nylon pins that glide smoothly through hair to separate, shape and smooth with superior grip. A must-have styling tool for detangling wet and dry hair, separating and defining curls, and controlled blow-drying and straightening.